One of the biggest hindrances with buying a top-of-the-line smartphone, is the premium price that you have to pay for it. There are usually two ways of how high-end phones are sold; either you pay the full price to the manufacturer and get an unlocked device, whereby getting the freedom to go with whatever network fancies you. Or, you may opt to buy the phone through a wireless carrier, where you pay a much subsidized rate for a big trade-off: getting stuck with that carrier for the term of your contract. In the latter case, the carrier pays the full price to the manufacturer but sells you the device at a much lower rate, and in turn, locks down the smartphone to their network, so you cannot use a SIM card from another network just like that. That’s a generally agreeable rule for most users. However, there might be cases when you don’t want to remain stuck with the same cellular service provided, especially if there services aren’t satisfactory. There might also be times where you want to travel abroad, want roaming, but don’t want a local carrier that’s partnered to the one you’re subscribed to. Still others might be times when you just want to unlock your phone. Now, these phones are locked via software code, not at the hardware level, so there’s always a good chance that a good device tinkerer will be able to unlock it and let you get a job done for free that would otherwise cause your wallet to go lighter, even if marginally. Well, if you happen to own a Galaxy Note II, or a Galaxy S III, you might be able to network unlock your Android smartphone entirely free of cost! The method comes courtesy of the folks over at XDA-Developers, who uncovered a hidden menu buried deep in Samsung’s own software that lets you unlock a pre-locked device. There are some factors to consider before attempting this, however. 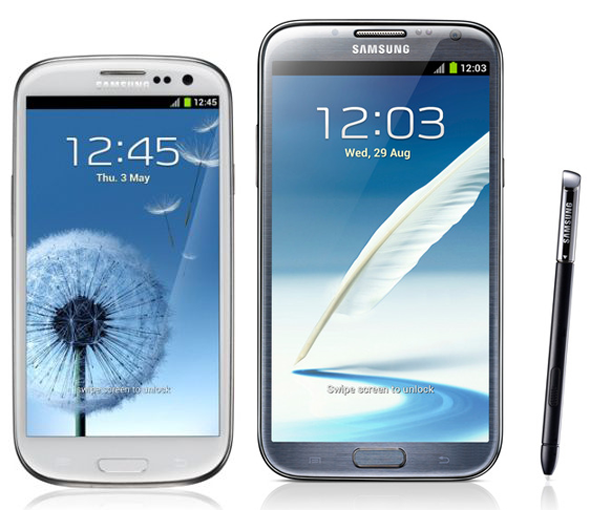 One, it will work ONLY on locked devices – we don’t know what might happen if you try that on an already-unlocked Galaxy Note II. Two, this method has been tested with only N7105 for the Note II, and while it has been reported to work for the N7100 and some Galaxy S III models, they’re not guaranteed. Three, meddling with these areas of your phone is seriously risky business, so proceed at your own risk. Please note that these instructions will only work if you’re running Android 4.1 or higher. Step 2: From the Main Menu, navigate to  UMTS > Debug Screen >  Phone Control >  Network Lock > Options. Step 3: In the Options screen, choose  Perso SHA256 OFF. Wait for 30 seconds after making this selection. Step 5: Here, now choose NW Lock NV Data INITIALLIZ. Wait for one minute after making the choice. Step 6: After a minute has passed, reboot your Galaxy Note II. Your phone should now be unlocked, and ready for use with any carrier. Please note that you will NOT receive any sort of confirmation on the screen, so just put in a different carrier’s SIM and try it out. For more details and technical assistance, check out the XDA forum thread below. How can I unlock my Samsung galaxy note 2 for ETH-MTN?